يشكل فندق Jamison House بموقعه الممتاز في قلب Katoomba نقطة انطلاق ممتازة لاستكشاف بلو ماونتيينز. يمكن من هنا للضيوف الاستمتاع بسهولة الوصول إلى كل ما تقدمه هذه المدينة النابضة بالحياة. بالنسبة لمن يريد الخروج، هذه بعض المعالم السياحية المتوفرة للزوار Leura Cascades, Leuralla Toy and Railway Museum, The Carrington. إن الخدمات التي يقدمها Jamison House تضمن للنزلاء إقامة مريحة. إن واي فاي مجاني في جميع الغرف, خدمة التنظيف يوميًا, مدفأة, خدمة سيارات الأجرة, تسجيل وصول/خروج سريع هي جزء فقط من الخدمات التي تميز Jamison House عن باقي الفنادق في المدينة. بالإضافة لهذا,تتضمن كل غرف الضيوف مجموعة واسعة من وسائل الراحة . بعض الغرف توفر حتى تلفزيون بشاشة مسطحة, اتصال لاسلكي بشبكة الإنترنت (مجاني), غرف لغير المدخنين, تدفئة, مكتب لإرضاء أكثر الضيوف تطلباً. يقدم الفندق مجموعة رائعة من الخدمات كمثل مسارات المشي, حديقة، لجعل إقامتك تجربة لا تنسى. إن كنت تتطلع إلى إقامة مريحة وهادئة في بلو ماونتيينز، فستجد في Jamison House بيتك الثاني. From the arrival to departure I felt at home and all because of the friendly and attentive people of the House. 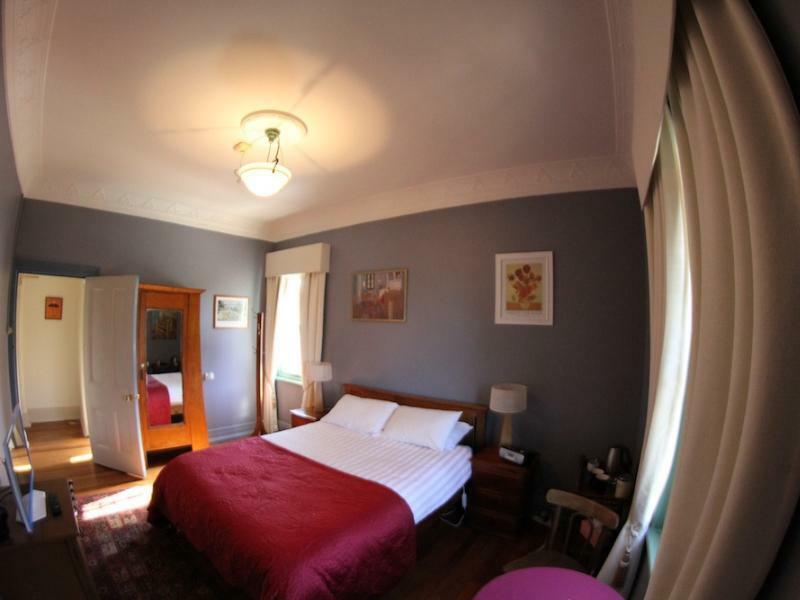 This is a quaint period house in French style with lovely rooms and a wonderful French restaurant with delicious dinner and breakfast just a short walk from the main cafe strip in Katoomba. Special mention to Trang for her efforts and her smile, Thank You. Great b&b style accommodation. Very quiet when we went. Staff are friendly, free breakfast was good (anything from their menu). Great views of the blue mountains. Well positioned but not ideal for walking to any amenities. Great place to stay if you have a car. Plenty of parking on the street (well lit). Good just to relax out the front and enjoy the view and sunshine. Would come back! 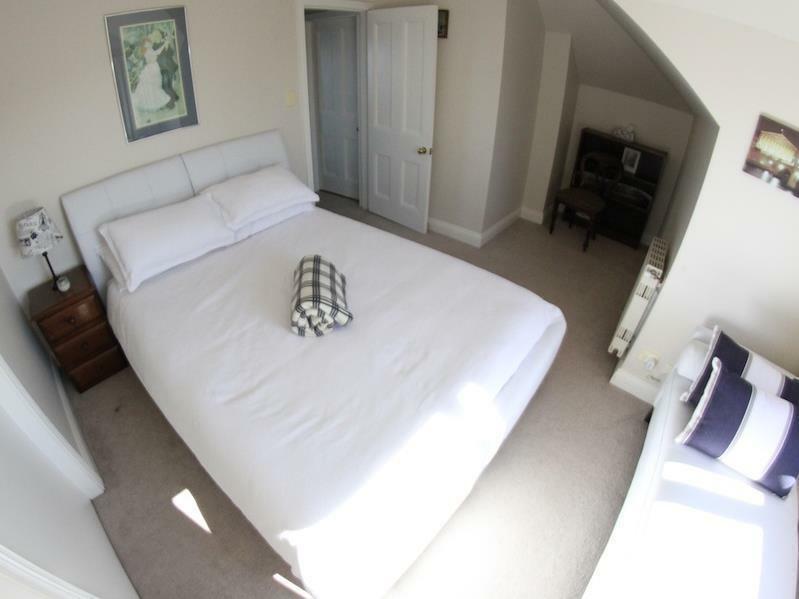 Fantastic setting for this quaint but sizeable and historic guest house. Room and bed were both good, staff friendly, and the French food at both dinner and breakfast outstanding. 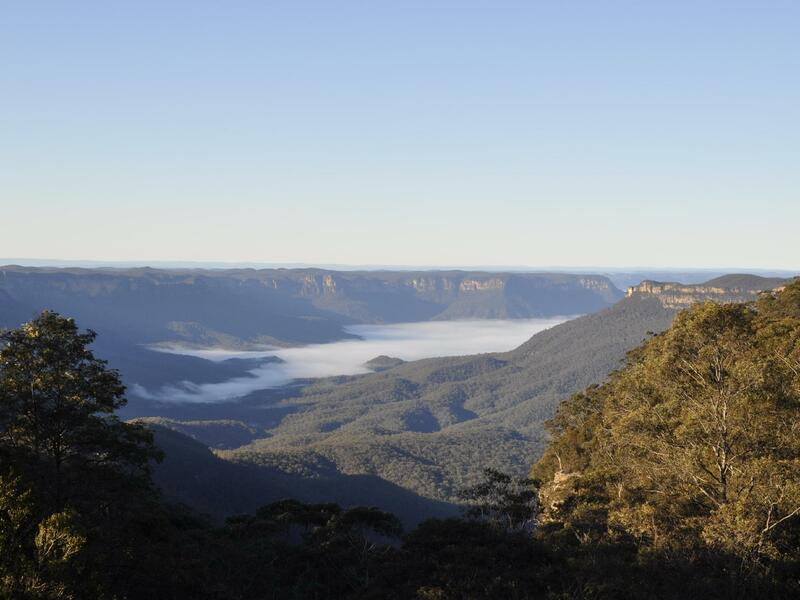 Great location for touring the Blue Mountains and nearby Katoomba and Leura. The views of the valley from our room were amazing and if felt very cosy. We loved the place and the atmosphere. Breakfast was lovely. The staff was friendly. However, it was really hot and no aircon. The fans were just moving around hot air. I did not mind but if you can't stand the heat, avoid going when the temperature is over 30 degrees. 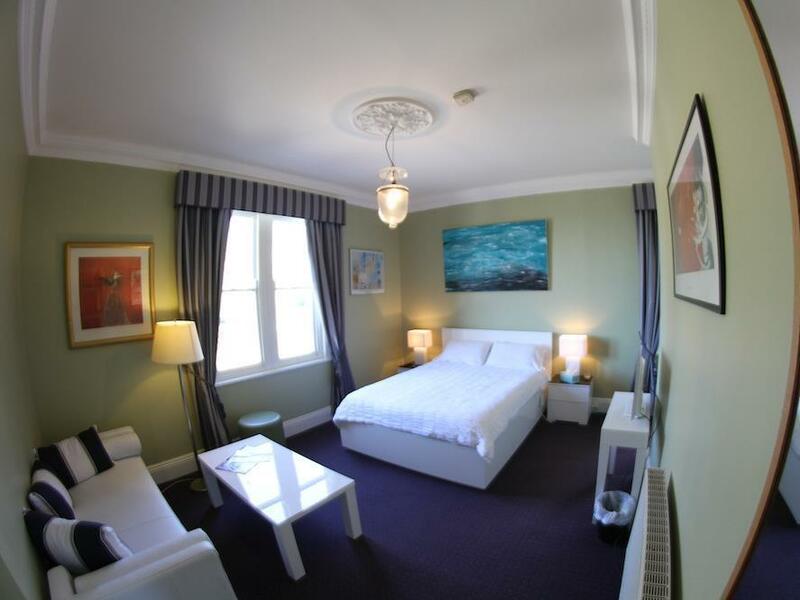 Fantastic place to stay in Katoomba - close to all the walks, beautiful views, friendly and helpful staff, and seriously upgraded rooms. Lovely restaurant serving breakfast, lunch and dinner, attached. very close to Katoomba and Leura. it is a good location if you want to travel to these towns. Great view in front of the hotel and i think there is a walking track just few minutes down the road. the weather was not good when i traveled there. it's a shame i didn't get a chance to go hiking. plenty of street parking and I could my car in front of the hotel. it worth for a weekend stay. the staff is very friendly and a french restaurant downstairs.i had my breakfast in the restaurant because it's included. the breakfast was good and the environment and view added extra value to it. i'll recommend this if to spend a night or two in blue mountain. i loved staying here very much, walking to three sisters for just 15 minutes and many walking track nearby. i definitely stay here again. unfortunately a dinning was closed, so we could not try a french cuisine. 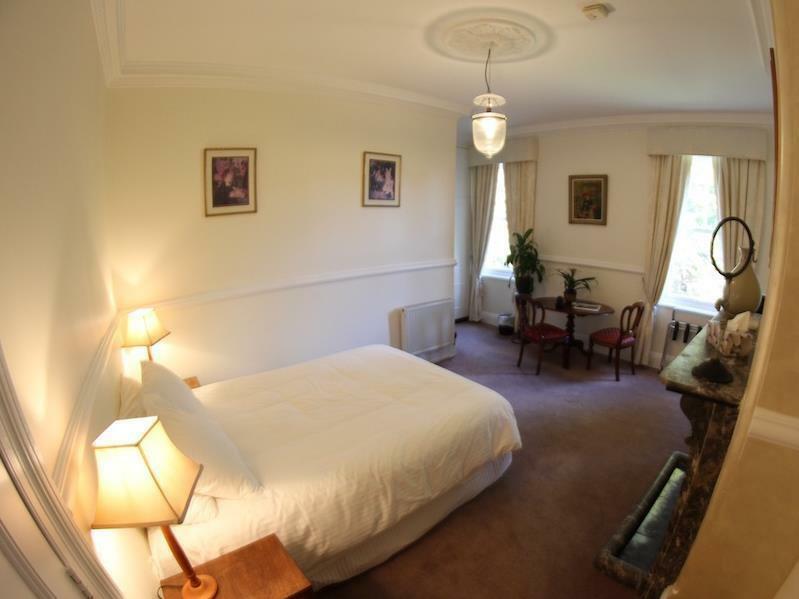 The Paris suite was very spacious with a living room and kitchenette in addition to the bedroom. The facilities could use a bit of updating and the bed was surprisingly not very comfortable (saggy mattress). But the staff were friendly and the views were amazing. We had a nice time staying here, and would definitely stay in three Paris room again once it gets a bit of attention. Stayed in the Paris room. Lovely setting with great views from every window. We had breakfast and dinner at their French restaurant Roosters and was value for money. Staff very friendly and helpful. Will definitely come back to this B&B next winter. My wife and I came to celebrate her birthday here and we had a wonderful time. The room was very comfortable, the food amazing, and the staff completed the experience. I highly recommend the beautiful gem. We were here for a few days in October 2016 for the Garden Festival in Leura. We were given a lovely bottle of sparkling wine in compensation for the broken sink. Much appreciated. Lovely friendly staff. Love our stay. Great view from our room. Very friendly staff, and the included breakfast make this a very good deal. A little more attention to details could improve the experience. The supplied iron spat a white powder all over my jeans and obviously needs replacing. The basin in the bathroom had a broken-off corner - there was some tape used to cover the damage. One of the central heaters didn't appear to be working properly and the room was a little chilly as a result. Nothing there that really bothered us, and we would definitely come back again. Loved this place! We stayed in the apartment at the top of the guesthouse as it has extra room. Very friendly staff and terrific breakfast served in the lovely dining room. Excellent value for travellers with their own car. Very friendly service, fantastic dinner. The included breakfast was very generous...choice of anything on the full menu. The room was clean and warm.... an extra heater was in the room, if needed. The location was brilliant. We were able to park right out the front, the cliff walk was just across the road, and we were close to Leura and Katoomba -5 minutes drive each way. Great views from the dining room. A really lovely place to stay. Large rooms (stayed in the Paris Suite with an amazing view) with great facilities.Overall great vibe and nice traditional style building with modern trimmings in the rooms. Staff were awesome - very warm and friendly, The restaurant downstairs had beautiful french food. It was a simple guesthouse with an amazing view of the Jamison Valley, which made the experience so different from typical hotels/ motels. We stayed in the Van Gogh room and loved how our room was designed. The environment was very warm and the staff were great! We had dinner at the Rooster and the food was top-notch. That night, we also had drinks at the bar and the wait staff kept us accompanied by chatting and sharing life stories! Loved everything about it. It was a rather special and unique experience for my partner and I. We loved our overnight stay - we stayed in the Paris Room - it was a loft with a beautiful bed and comfortable surroundings - the view from our lounge room window was absolutely awe inspiring - it changed a couple of times we were there - the clouds coming in the view of the valley and the breathtaking scenery. A perfect weekend. The breakfast which is included in your stay - was beautifully presented. Loved every minute of our stay - we will definitely return. Jamison House is truly a gem in the middle of the Blue Mountains. The place has a quaint, pretty French atmosphere - from the staff, to the music played, to the names of the rooms, decorations etc. Bijor, the owner, was so friendly and made us feel right at home. The room we got - Baudelair Room, gave us a lovely view of the mountains and hilly roadside. Roadside parking is aplenty. The breakfast Bijor prepared for us was so yummy and he was also able to pre-empt our religious dietary requirements. We loved our stay here and wished we could stay longer. Ambience & comfort, views, staff. Fantastic. Lovely staff and a gorgeous property. We didn't eat at the restaurant so cannot really rate the food. We had breakfast there as it was included in our package. Breakfast options were a croissant with jam, bircher muesli with yoghurt and fresh fruit or bacon and eggs. We went with bacon and eggs which was ok. Staff were charismatic and very helpful. The upstairs mezzanine and reading room were a lovely addition and the decor was charming. We stayed in the Van Gough room which was lovely. The room was clean and the bed was comfortable with good linen. The bathroom was nice but needs an extraction fan as we had to keep the window open. Overall a very pleasant and romantic getaway for a night.